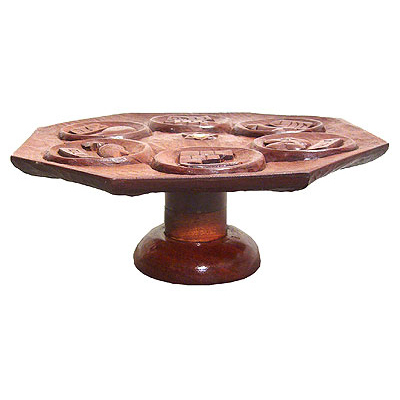 This three-tiered Seder Plate was hand-carved in African Mahogany and inlaid with abalone. The top is deeply carved into the trays for the species. 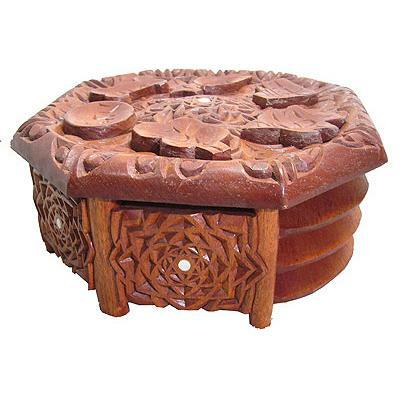 Stands slightly off the table on legs carved from the sides. Durable washable three coat lacquer finish and comes with glass dishes that fit over the species for easy cleaning and durability. Please call or email for more photos, pricing, or custom options. 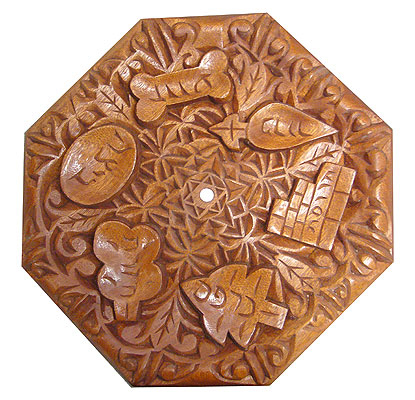 This hand carved tiered seder plate is currently available for sale at a discounted price. 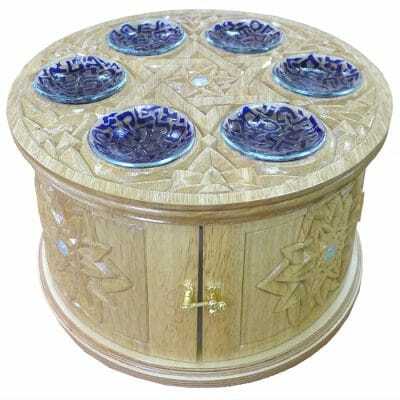 Inquire about custom carving options, woods, and finishes. 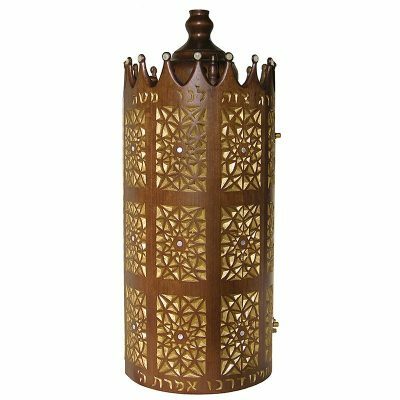 Each Seder Plate is built individually from the finest materials at the Jewish Artist Center in Israel by Jewish craftsmen. We build custom commissioned seder plates for museums and collectors of Judaica worldwide. 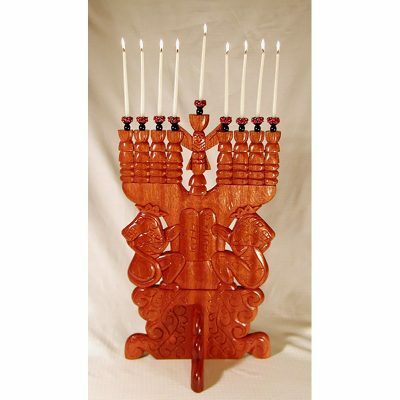 Come visit our studio when you are in Israel to see how the work is produced.